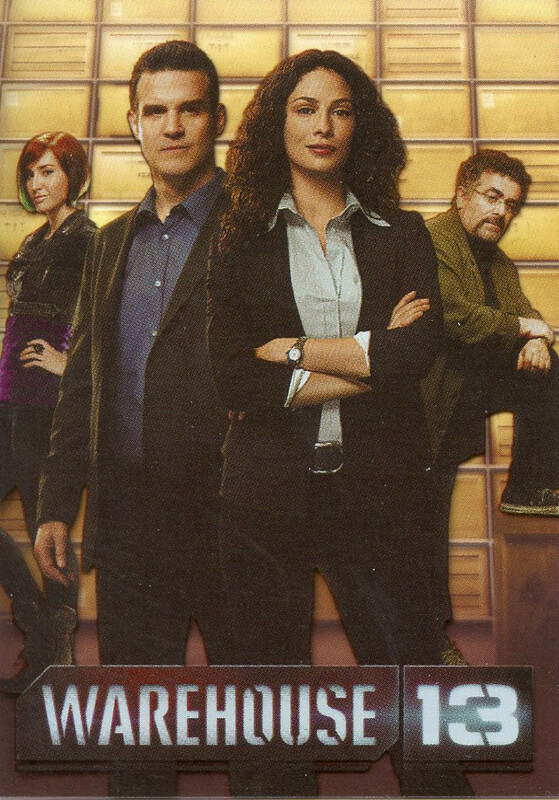 2013 Rittenhouse Warehouse 13 Season 4 Episodes 1 Thru 10 is a premium pack offering that packs a ton of content into every pack. Spanning the first half of the show's biggest season to date, each pack has an autograph and a pair of relics. They're paired alongside two base cards and one basic insert. 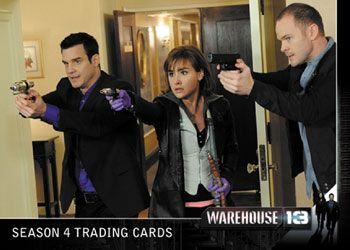 The 2013 Rittenhouse Warehouse 13 Season 4 Episodes 1 Thru 10 base set has just 20 cards. But with only a couple of cards per pricey pack, it's not going to be the easiest of sets to complete. Base cards tell the story of the season's first half with two cards per episode. 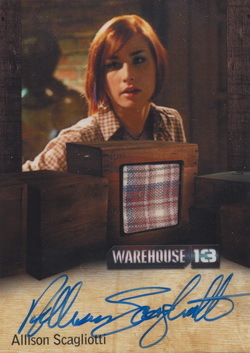 Rittenhouse is changing up the autograph formula a little bit from previous Warehouse 13 sets. While there are still basic autographs, collectors can also find autographed relics. Signers for both sets include Joanne Kelly, Allison Scagliotti, CCH Pounder, Jaime Murray and Brent Spiner, who is best known as Data from Star Trek: The Next Generation. Basic autograph subjects also include Jeri Ryan, Jenelle Williams and Ashley Williams. Nineteen different Artifact Relic cards come with show-worn costume swatches. 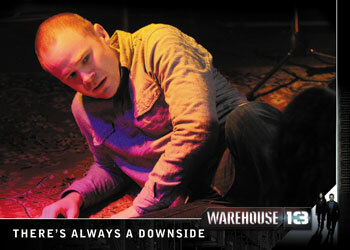 Every 2013 Rittenhouse Warehouse 13 Season 4 Episodes 1 Thru 10 pack has one of two different basic inserts. Of Monsters and Men has ten different cards while Grand Design has nine cards. 2013 Rittenhouse Warehouse 13 Season 4 Episodes 1 Thru 10 has several different incentives for those buying full boxes. 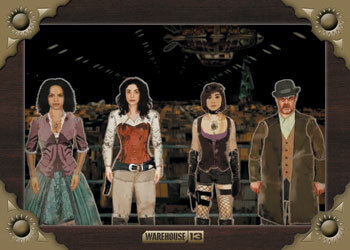 Every box includes a Warehouse 13 Plastic Card box topper. 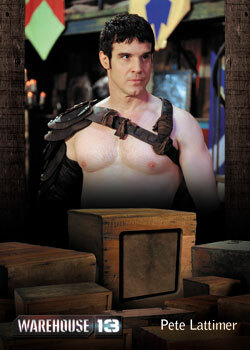 The two-box incentive is an Eddie McClintock relic card. Those ordering four boxes receive an exclusive Jeri Ryan autographed costume card. Finally, the eight-box incentive is a master set of all pack-inserted cards. 20 cards. Two per pack. 8 cards. Combine with Autographed Relics to fall one per pack. 6 cards. Combine with Autographs to fall one per pack. 10 cards. Inserted 1:2 packs. 19 cards. Inserted two per pack.